More than 30% of French internet users watched a subscription video-on-demand service in the past year, marking a 10-point increase compared to December 2017. This is according to Médiamétrie’s latest SVOD barometer, which estimated that 13.6 million French people watch series, films, documentaries or cartoons via an SVOD service. The research said that people are both becoming more aware of SVOD and are becoming more avid viewers of these streaming services. Half of French people can now name an SVOD service, up 19-points in just six months, while eight in ten SVOD viewers watch programmes every week. Half of SVOD users said that they spend between one and two hours per day on these services. The most ardent 28% of viewers used them for between two and three hours per day. Médiamétrie said that Netflix is the most popular SVOD service in France, followed by Amazon Prime Video and Canalplay, but it did not break out user number estimates per platform. 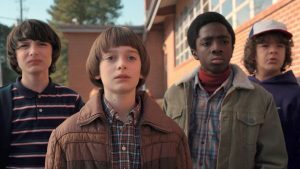 Series, spanning genres like comedy, action, thriller, science-fiction and fantasy, were found to be the “star content” of SVOD, especially among younger audiences. Some 90% of SVOD users aged 15-34 watch series, while 87% of people aged 35 and older watch films on SVOD platforms. “Money Heist, followed by 13 Reasons Why, then Game of Thrones, Stranger Things, Orange is the New Black, The Walking Dead and Grey’s Anatomy are the series that SVOD users were most attracted to during the last 12 months,” according to the research.